Welcome to the start of a Books by Theme mini-series devoted to one of YAs most enduring new trends: fairy tale rewrites and retellings. There's something comfortable about going into a book with a sense of the story, and something satisfying about finding it new and different than you'd expected. I'll be reviewing some of my favorite (or unread but interesting) retellings, with special attention to how they take the story and make it their own. 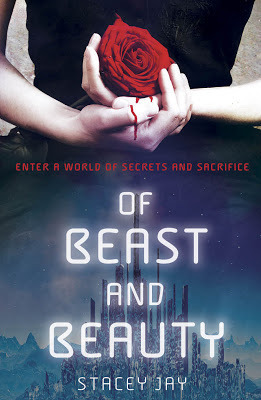 This is probably my favorite of the Beast retellings, at least thus far. Hodge takes the classic fairy tale and blends it with subtle layers of Greek myth and alchemical lore. Nyx and her family live in a kingdom trapped beneath a paper sky, a kingdom subject to the whims of the Gentle Lord who rules in the dark castle on the hill. Because Nyx's father once made a foolish bargain, Nyx must marry the Gentle Lord. Only, her father is also a master of the hermetic arts. He's groomed Nyx in magic so that, when she marries, she can destroy the Gentle Lord and his spell. 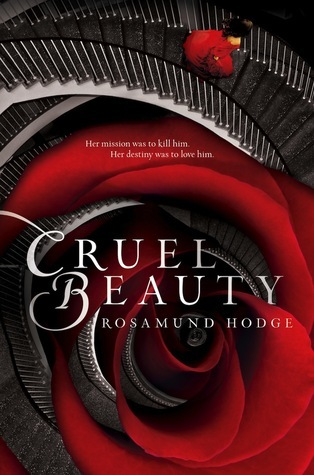 Hodge gives us a Beauty trained to kill and a Beast charming in his cruelty. Surrounding them is an enchanted castle replete with mysteries and puzzles. It's a well-crafted story that reads like a folk legend, beautifully written and artfully conceived. An easy perfect 10. Compare it to the original: All the elements of the classic tale are there, but Hodge embeds them in a richly imagined fantasy world and gives it all a dark twist. I haven't read this one, but no good list of Beauty retellings is complete without it. Also, the Beast in the movie adaptation was played by Alex Pettyfer, who is adorable. Here, we have a modern adaptation of the tale set in New York City. Unlike most of the adaptations, Quinn offers the Beast's point of view. The Beast is Kyle, or it used to be. A once-popular teenage heartthrob, Kyle was changed into a loathsome, deformed creature as punishment for his foul personality. By a witch in his English class, of course. 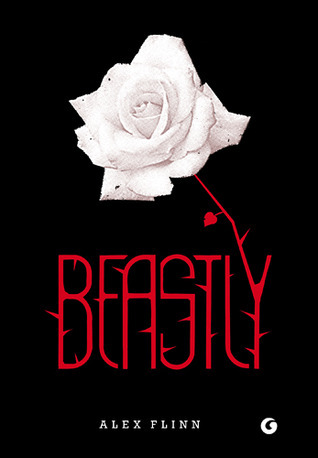 Beastly is beloved by its fans for its playful imagining of the folk characters into present day high schoolers and aged school employees, the castle into a mansion. Its private school setting adds a bit of Gossip Girl flair. However, it's the passionate romance that promises readers a quick but sweet read. Compare it to the original: Quinn keeps Disney's atmosphere, witch, and moral, but sets them against a modern city backdrop. While Throne of Glass is only tangentially Cinderella, ACOTAR is very much Beauty and the Best. With Maas' tight writing and deeply complex characters, it's sure to be an instant hit. Maas mingles Beauty's tale with faerie lore. What emerges is the start to an epic steeped in magic and romance. 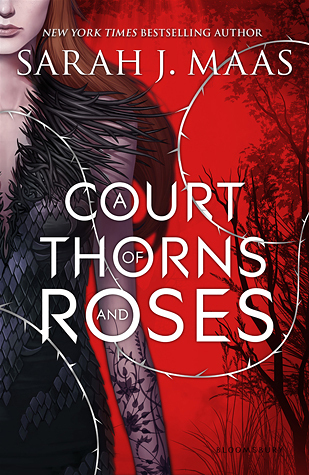 Maas' retelling differs from the crowd in its length; ACOTAR is only the first in a series. With its Beastly backbone, the first book sets up the story of Feyre and her fatal love affair with the wicked faerie Tamlin. However, their love does not usher in a Happily Ever After, but instead entwines Feyre's life with the embattled fate of the faerie world. Maas promises sizzling seduction in this more grown-up version of the chaste classic. Compare to the original: The Beast is not a monster but a deadly faerie lord, and his love for Beauty is only the precipice of a saga. This booked charmed me with its pretty cover and delightful melange of fairy tale themes. It's another I have yet to read, but one much beloved by its reviewers. The set-up is founded not on Beauty but on The Twelve Dancing Princesses: there is a curse forcing the princesses of this kingdom to dance, and a prize promised to anyone who can break it. That anyone may just be Reveka, a lowly apprentice with a penchant for herbs. 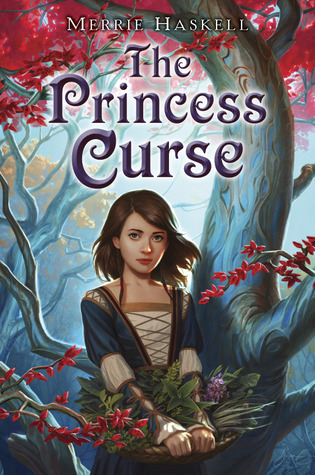 Her quest leads her into a dark Underworld, where her soul may be the price of the princesses' liberation. Readers praise its humor, spirit, and vivacious main character. (Even Rosamund Hodge has it on her TBR!) Expect a version of Beauty's romance appropriate for preteens, but one with enough verve and cleverness to appeal to all ages. Compare to the original: A smart mash-up of two fairy tales that envisions a folk lore of its own. I feature this one with a little trepidation, given that the author is responsible for Juliet Immortal. Not that I've read either, but the idea of a vampiric, immortal Romeo is just a bit sensational for my tastes. Nevertheless, this book has collected a number of fans who appreciate Jay's pretty prose and credible characters. Jay's version occupies a sci-fi world of cloistered humans and mutated outsiders. Caught in between is Isra, a blind beauty destined to die for her people. Fate delivers her to Gem, a mutant determined to sway the fate of his oppressed people. Together, they may be able to change their world, but it might mean forsaking Isra's sacred duty to her race. This one sounds perfect for readers who love a good teary romance. It also has the approval of Jodi Meadows, author of the fabulous Incarnate series and the upcoming The Orphan Queen. Compare it to the original: Beauty and Beast represent opposing sides of a dangerous sci-fi world, but the passionate romance remains the same. What are your favorite takes on Beauty and the Beast?